Today I am very happy to share my thoughts on Top with Cinnamon by Izy Hossack, aptly subtitled "Stylish sweet and savoury recipes". Hossack knows how to set a mood, seriously. When a photograph almost looks too poised there is something there that reminds you of Hossack's humor + playfulness. A bite taken from a cookie, an empty muffin wrapper + a salad with spoonfuls taken from it already. There are always forks nearby as if Hossack couldn't wait to dig in after snapping. The care for typography stuck out to me as well. 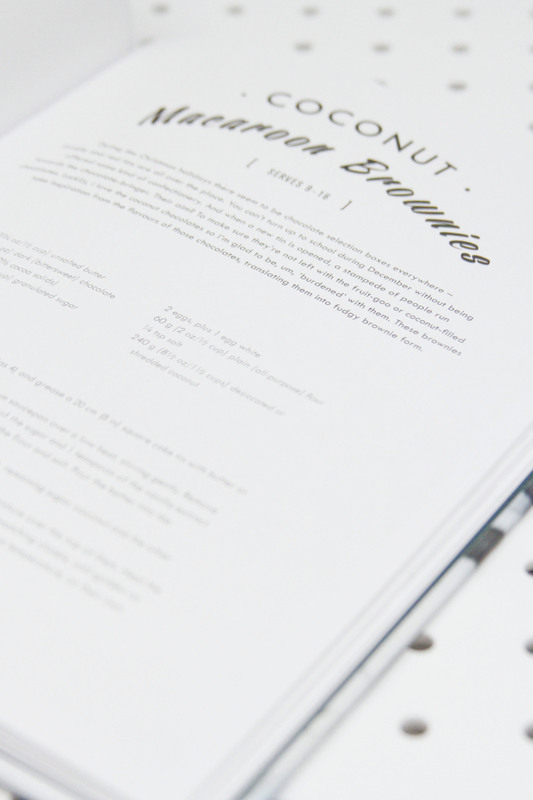 The body text is incredibly simple with some flair dedicated to the title of each dish. Hossack has a thing for breakfast, which is a great thing for this breakfast lover. From smoothies to buns, rolls to pancakes--there is something devilishly indulgent for everyone. Her savory dishes are seemingly complex, but actually quite simple. Highlights include chicken tacos with peach BBQ sauce, crustless plum + almond tart as well as a browned butter crumble blue-barb pie. Yes, a pie with both blueberries and rhubarb. You want to dive in each of these dishes, but more importantly, you want to pick up a whisk + try each recipe yourself. If there is one thing I strive to do by sharing recipes, it's to encourage other people to make something, anything. Hossack has the knack for both showing how it can be done + inspiring her readers to give it a go. 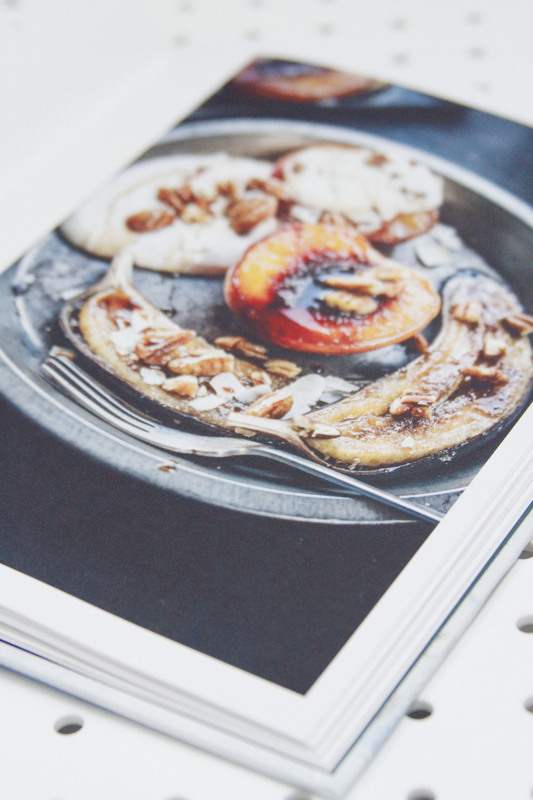 If you'd like to learn more about Hossack's cookbook, check it out right over here.